MANILA, Philippines – Malaysian tourists coming to the Philippines increased by 21.92 percent this 2012, The Philippines is becoming a tourism destination of choice for Malaysian travelers, according to a report of the Philippine Embassy in Kuala Lumpur on Friday. 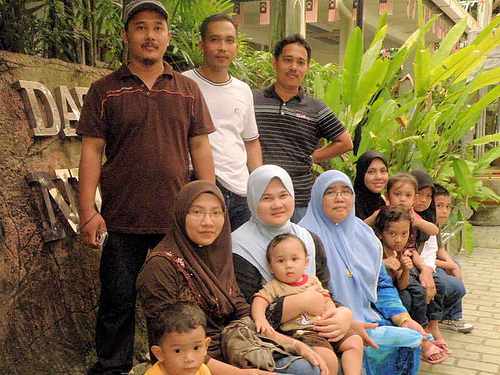 By October 2012, Malaysian tourist arrivals went up by 21.92 percent to 91,230, and the number is expected to surpass the total 2011 tourist arrivals of 97,154. “With this surge, Malaysia has become the 10th biggest market for Philippine tourism, up from 11th place last year,” the embassy said. It was announced during a recent appreciation dinner by the embassy’s Office of the Tourism Representative/Department of Tourism (DOT) marketing office. Tourist arrivals’ increase is credited to the improved air connectivity between the Philippines and Malaysia. 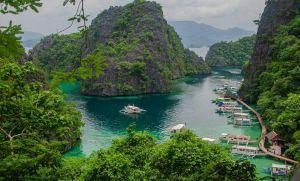 It is also due to the aggressive tourism efforts being undertaken by the embassy’s tourism office and Malaysian tour operators in line with the DOT’s “It’s More Fun in the Philippines” campaign, the report said. Other countries in the top 10 sources of tourist arrivals to the Philippines as of October 2012 are South Korea (832,437), the United States (534,899), Japan (341,676), China (215,814), Taiwan (188,862), Australia (147,237), Singapore (111,200), Hong Kong (98,967), and Canada (96,089). Total tourism arrivals have so far grown by 9.44 percent, with arrivals from Taiwan increasing the most by 22.98 percent. “The surge in Malaysian tourist arrivals is the second strongest growth the Philippines has seen among its many markets, only surpassed by those coming from Taiwan. More and more Malaysians are discovering why, as our new tourism slogan goes, ‘it’s more fun in the Philippines,’” Ambassador Eduardo Malaya said. “We also appreciate the creativity, focus and hard work made by tourism marketing representative Datin Melissa Ong and her team in leading the way toward this milestone,” Malaya said. “We expect that this significant growth to continue and also see more foreign tourists going to Davao, Siargao and other destinations in Mindanao in the light of the signing of the framework agreement between the Philippine government and the Moro Islamic Liberation Front. This may unlock the terrific tourism potentials of the region,” Malaya added. AirAsia Philippines and AirPhil Express launched their Kuala Lumpur-Clark and Kuala Lumpur-Manila flights last June, while Cebu Pacific launched its Kuala Lumpur-Cebu route this month. Major initiatives undertaken in 2012 by the embassy’s tourism marketing office are the holding of the first Philippine Tourism Fair at the Berjaya Times Square last July, and the frequent familiarization tours to Philippine tourism destinations for Malaysian tour operators and media personalities. “It is due to everyone’s unwavering commitment to push for Philippine tourism that we have reached this milestone. We also like to thank the embassy for its full support to our projects. 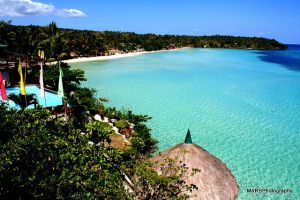 We look forward to more projects and activities to further boost Philippine tourism,” Ong said.